Directors: Julie Cohen and Betsy West. 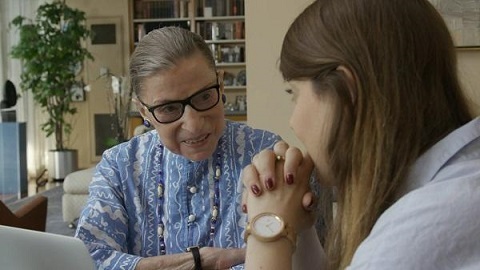 Documentary about U.S. Supreme Court Justice Ruth Bader Ginsberg, a pathbreaking legal activist and, in her 80s, an unexpected folk hero. Twitter Capsule: Not a distinguished or especially bold documentary, but I'll take a rousing, humanizing tribute and thank-you to a brave hero. VOR: ③ The legacy of Ginsburg's feminism and wily crusading gets recovered gloriously from the superfices of meme culturefor a while. Best Original Song: "I'll Fight"